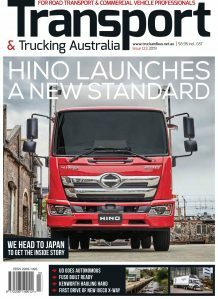 The Australian truck market is still on track to register an all time record tally of more than 40,000 units this year, with August figures rallying with a strong result, following a slight post financial year dip in July. August saw 3845 trucks and vans registered, up 17.8 per cent on the same month in 2017 and taking the year to date total to a massive 27159 units. To break 40,000 the industry only needs to sell 3210 units per month during the next four months and to break the previous industry record, set in 2007, only 2743 trucks need to be sold each month between now and 31 December, to beat the 38,131 record achieved back then. So far this year the sales tally hasn’t dropped below 3100 since March with most months well in excess of that mark. Still there seems to be some pessimism from the TIC about how truck sales will pan out for the rest of the year. Light Duty Van segment sales for the month of August were above the year-to-date growth experienced in the Van segment. A total of 1,257 heavy-duty trucks were delivered in August, up 16.1 per cent, or 174 trucks, on August last year. The Heavy Duty segment is tracking at 28.7 per cent compared to the end of August last year. The 9165 heavy duty sales recorded so far this year puts the segment 1077 units or 11.8 per cent ahead of the year to day result for the same period back in the record year of 2007 when 8088 trucks were sold in the first eight months, while the segment is 2042 units ahead of the YTD for 2017 as well. Medium Duty also performed well with a total of 721 units delivered for the month delivered, an 18.4 per cent or 112 unit increase over August 2017.
. A total of 1,154 Light Duty were delivered in August, up just 9.8 per cent or 103 trucks on August 2017, while the year-to-date sales tally to the end of August 2018 stands at 8,370 units, or 929 more than the YTD to end of August last year. Tony McMullan, the TIC’s CEO, said It was pleasing to see double digit sales growth continue in the Heavy and Medium Duty truck segments. “We also hear that many body builders are running near, or at capacity, this may be slowing the final build of some trucks and impacting new truck deliveries slightly,” said Tony McMullan. “All in all, I believe that the industry remains on track for a record sales year, potentially reaching 14,000 trucks in the Heavy Duty segment and close to 40,000 vehicles for the total heavy vehicle truck and van industry.” Mr. McMullan concluded. Isuzu was on track for its 30-year record at the top of the Australian truck market with another strong showing in August moving 837 units to take 21.8 per cent market share for the month. The perennial market leader has sold 6394 units for the year to date or 23.5 per cent and is on track for a first ever 10000 unit sales year. 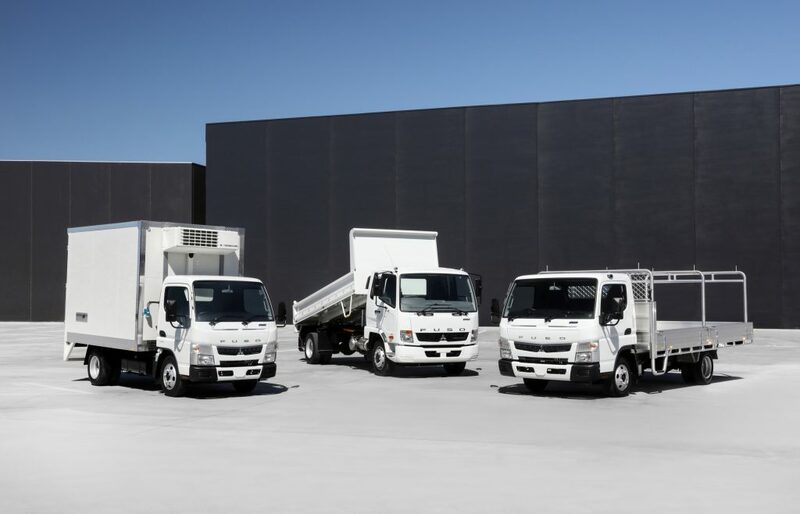 Isuzu’s chief rival Hino had a particularly good month shifting 509 trucks for the month or 13.2 per cent in August, while Fuso fell slightly to 309 units for the month to take third overall. Kenworth bounced back a little with another good performance selling 269 trucks, all of them heavy duty to give the brand another Heavy Duty market win as well as being fourth in overall trucks sales. Volvo was fifth with 213 sales in August, of which 212 were heavy duty putting the big Swede second in the Heavy segment with Isuzu third with 149 heavies for the month, while Mercedes Benz was fourth with 100 heavy units edging out Mack with 95. Mercedes Benz also had a strong Medium duty and van result shifting 217 commercials boasting a three-pointed star for the month placing it sixth in the overall market. Iveco was seventh with 146 commercials overall, ahead of UD with 110 units in eighth with 110, MAN with 88 trucks in ninth and Scania rounding out the top ten with 60 trucks.